Nvidia has opened its GPU Technology Conference (GTC) with a bang this week, announcing a revised roadmap for its desktop and mobile products along with a brand-new technology for more realistic facial rendering. First, the roadmap updates. While Nvidia founder Jen-Hsun Huang wasn't willing to share actual details, we at least have a few new codenames to enjoy: the successor to Maxwell, itself the successor to the current-generation Kepler GPU architecture, will be called Volta, while on the mobile side the upcoming Tegra 5 Logan chips will be succeeded by a product codenamed Parker, rather than the Stark moniker from earlier roadmap releases. Potentially, the Volta design will allow for the entire memory of the graphics card to be accessed in this manner by stacking multiple layers of DRAM modules on top of the GPU - although this may be limited by the need to keep all the components cool, with the hot-running GPU having to fight through additional layers of silicon to reach its heatsink. Potentially, it will represent a massive leap in performance, with Nvidia's current flagship Titan topping out at around 288GB/s throughput. Sadly, Volta won't be appearing on the market until some time in 2016, after the more sedate Maxwell update due next year. 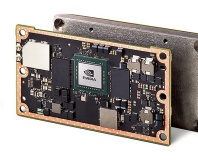 On the mobile side, Huang promised that Logan, the design that will launch as the Tegra 5, will pack Kepler-inspired GPU technology with full support for the company's CUDA GPU offload language - potentially opening up a new world of accelerated computing on mobile devices. 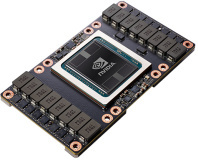 Parker, meanwhile, replaces the previously announced Stark chip - which is now nowhere to be found on the roadmap - as the likely Tegra 6 launch in 2016, which will be the first to include Nvidia's custom-built 64-bit Denver ARM cores as well as GPU technology based on Maxwell. 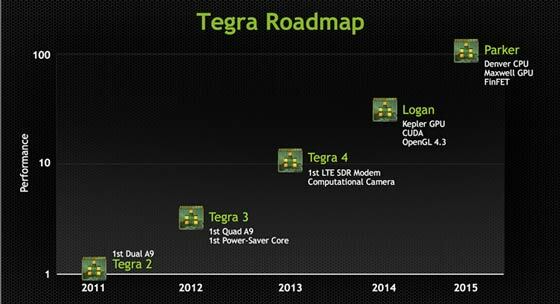 Performance figures, sadly, were not part of the presentation, beyond a vague promise that Parker would offer a hundred-fold increase on the performance of 2011's Tegra 2 dual-core ARM Cortex-A9-based design. Huang also unveiled Faceworks, a new system for rendering and animating human faces which promises to take games right up to the far edge of the uncanny valley. Designed, naturally, for use with Nvidia's CUDA-compatible graphics cards, Faceworks renders human features in impressive detail - with individual pores, or something very like them, visible when zoomed in - while 30 stored expressions motion-captured from an emotive actor can be recalled at will and melded into one another for smooth transitions. It's a clever technology, to be sure, but one that comes at a considerable cost: to render a single human's face in the Faceworks engine requires around two teraflops of processing power, which alone accounts for about half the compute performance of Nvidia's Titan graphics board. Those who have slower graphics cards - which is to say, pretty much everyone who hasn't splashed out on a Titan - will find the technology out of their reach. Faceworks was also joined on stage by Waveworks, Nvidia's attempt to create a realistic system for the simualtion of waves in games. Rather than using the traditional shortcut methods to produce simulated water that acts almost entirely unlike the real thing, Waveworks simulates the interaction between individual waves to create a realistic appearance with real-world physics attached. 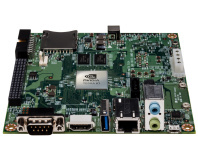 Other announcements at the GTC included a target of Q2 for launching the Project Shield Android-based hand-held gaming console in the US, talk of Nvidia breaking with tradition and offering to license its GPU and ARM-based CPU technology to other companies, and an extension of the GeForce GRID cloud GPU platform for workstation users via a new Visual Computing Appliance that packs up to 16 GPUs with 64GB of GDDR5 memory and 384GB of system memory into a 4U box that can deliver Quadro-like performance to up to sixteen remote workstations. If that interests you less than ultra-realistic facial animation, however, have a shufti at Nvidia's Faceworks in action, running in real-time on a GeForce Titan board, below.